Photo Print: Young '76, circa 1855. 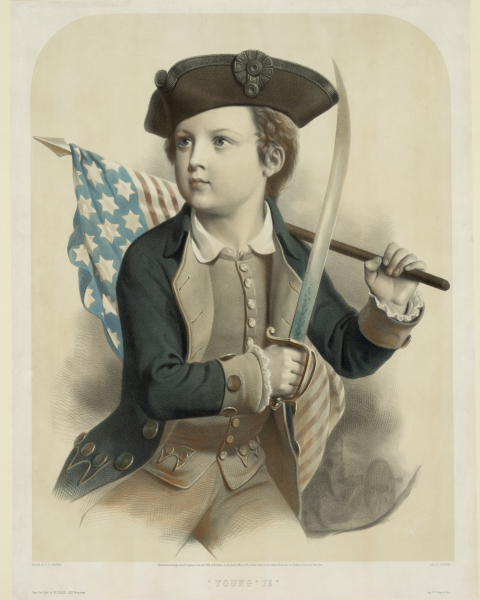 Title: Young '76, circa 1855. Description: Young '76. 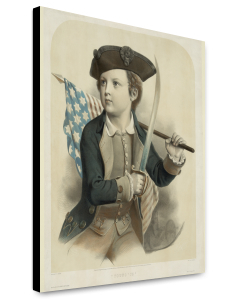 Shows boy with sword and a 13-star American flag. Copyright 1855.